Welcome to the policies section of 212areacode.com site. At 212areacode.com, we care about our customers and we want to ensure that our customers are able to maximize the benefit from the products and or services we are able to provide. We have developed our policies to better serve our customers and safeguard their personal privacy. Below we have outline our different legal policies regarding orders on the 212areacode.com website. 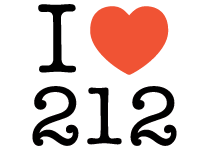 If you would like to contact 212areacode.com regarding any of our policies, you may do so by calling (212) 580-2000 x3 or e-mailing us at: support [AT] 212areacode [DOT] com. You can cancel/return an order that you placed online within 14 days but you may be subject to a re-stocking fee and service charge. If you cancel your order later than 14 days or once the porting process has been initiated to your new provider, all sales are final and no refunds will be issued, vanity and special orders are not refundable. All cancellation/returns requested outside of 14 days from when you submitted your order may be subject to restocking fees and service charges. If restocking fees and service charges are assessed, you will be charged 25% of the phone number’s purchase price. You will be refunded your total amount, less restocking and service charges incurred. To request an order cancellation, call (212)580-2000. If, by canceling an item, your order is no longer eligible for a promotion or a quantity discount (either by volume or dollar amount), your order total will be recalculated to reflect an updated order total without the promotion or discount applied. Please note: If an item from your order is canceled by us due to our inability to fulfill or for any other reason, the promotion, or discount will remain in effect. Services ordered from us are for 30 days with 100 free unlimited call forwarding. If you wish to port a number from our system you must dos so within the initial 30 days. Refunds will be credited first to the original purchasing credit card account number (if any) and then any gift card or gift certificate. When returning items to 212areacode.com, the credit is applied at the time of the return and usually posts to the credit card within 72 hours. For more information about refunds, review our Cancellation/Returns Policy to understand additional policies that apply to refunds. Once the porting process has been initiated, all sales are final and no refunds will be issued.